CPIPEDA is federal legislation that governs the collection use and disclosure of personal information in a manner that respects your right of privacy concerning your personal information. PIPEDA balances these rights against an organization’s need to collect, use and disclose personal information for purposes that a reasonable person would consider appropriate in the circumstances. Personal information is information about an identifiable individual. Examples of personal information include: gender, date of birth, driver’s license number, current and previous home address, phone number, travel itinerary and names of family members. This Policy describes how CWT complies with PIPEDA including the purposes for which information is collected, used and disclosed, CWT’s treatment of personal information and your rights concerning your personal information. It is organized based on the principles listed in the Canadian Standards Association’s Model Code found in Schedule II to PIPEDA, under which CWT’s privacy responsibilities are organized. This Policy also applies to all individuals whose personal information is collected by CWT including, without limitation, by signing up for CWT Vacation Club, by signing up to receive commercial electronic messages and by purchasing travel services. The responsibility for the personal information under CWT’s control rests with its Privacy Officer. The individual designated as Privacy Officer may change from time to time, however, his or her identity will be made known upon request. CWT will occasionally disclose personal information under its control to third parties, but only for an identified purpose, and with your consent. When disclosing personal information, CWT uses contractual means to ensure that it is treated in accordance with PIPEDA by the third party. Protecting your privacy is a top priority of CWT. Accordingly, procedures have been adopted to give effect to this Policy. CWT’s employees have received training concerning this Policy and the procedures in place to implement it. CWT collects personally identifiable information from you only with your knowledge and consent. CWT collects, uses and discloses personal information based on the products and services you request from us. For example, we collect, use and disclose personal information to complete travel arrangements for you, when you enter our contests, when you subscribe to our electronic newsletters and to provide you with links to services or sources of information that meet your needs. We use our electronic newsletters and email for communicating to individuals from whom we have received consent. If additional sources of information are used, we will only send email to individuals who have expressly shared their address and for the purpose of receiving offers and information in the future from CWT. Each newsletter will display the e-mail address of the recipient with simple instructions on how to unsubscribe (opt-out) from the newsletter list. We collect non-personally identifiable information from you in order for us to better understand how our Web site is used. Information about a user’s visit is logged, however your IP address is never referenced to personally identifiable information. Usage statistics are gathered in a non-intrusive manner. The log files are private documents and are primarily used by the server administrator for error notification, server administration and to monitor Web site performance. At times portions of the log files may be viewed by others for the purpose of server administration, security or when required by law. CWT collects both personally identifiable information and non-personally identifiable information with the goal to serve you better and to offer products and services that may interest you. CWT may sell products or services on a CWT owned and operated website. At the time of purchase, CWT will require personal, business and financial information, such as name, email, shipping/billing address and credit card number in order to complete the sale. When you are entering a contest sponsored or administered by CWT, CWT collects certain information so that it can contact you for the purpose of administration of the Contest. CWT may use itself and/or disclose to other organizations non-sensitive personal information such as name and address for the purpose of marketing services to you. Consent may be withdrawn for this purpose at any time by contacting CWT at the phone number or address indicated at the end of this document; however, CWT will require 10 days’ notice of such withdrawal. Personal information is collected for the purposes of identification. Upon the sale of CWT, your personal information may be disclosed to and used by the purchaser for any of the purposes listed in this Policy. Consent may not be withdrawn for this purpose. CWT makes certain personal information about you such as contact information and information about travel you have purchased from CWT available to its affiliates and franchisees that have entered into an associate agreement with CWT. Those affiliates and franchisees may use that information to contact you about the products and services that may be of interest to you. In some cases cookies will be used to extend the functionality of the Web site. A cookie is an element of data that a Web site sends to your browser, which may then be stored on your computer. CWT’s Social Media accounts (CWTVacationsCanada or CWTVacationsCA or CWTVacancesCA) collect any personal information you disclose in your social media accounts when you ‘follow’, ‘like’ or similarly subscribe to our accounts. We will market to you through these channels with ad information, and the like. You can control what and how information is received by adjusting the settings within your social channels account settings. Consent is required for the collection of personal information for the above purposes, or any new purposes that CWT identifies from time to time. The form of consent required by CWT will vary depending on the sensitivity of the information requested and the reasonable expectations of the customer. Consent will be implied for all purposes unless the purpose indicates that express consent will be collected. CWT may collect, use or disclose your personal information without your consent in circumstances indicated in PIPEDA. For example, CWT may disclose personal information to a collection agency for the purpose of collecting any amounts owed. CWT does not collect personal information indiscriminately. CWT limits the collection of personal information to that which is necessary for purposes it identifies. CWT primarily collects personal information directly from you; however, personal information may also be collected from other sources including other people who represent that they have the right to disclose information. The personal information that CWT collects directly from you may be collected in a variety of ways, including, by being disclosed directly by you to CWT, generated by your transactions with CWT, or observed by CWT. The types of personal information collected include: (i) information related to travel services or vacation club memberships, including name, address, amount paid, payment history, complaints, requests, and the like; and (ii) information necessary to identify you. CWT only uses and discloses information for the purposes for which it was collected, or otherwise in accordance with PIPEDA. Any new purpose for which the information is to be used or disclosed shall be documented, and consent will be obtained for it. Unless this Policy indicates otherwise, CWT retains your personal information for a minimum period of seven years after the expiry of any services provided to you. Personal information will be disposed of by shredding or otherwise destroying it. Third party services may be retained to destroy personal information; however, that third party will be required to provide assurances to CWT that it will protect the personal information. Your personal information in connection with sending you promotions and newsletters will be kept until you unsubscribe from receiving such promotions and newsletters. Personal information will be kept as accurate, complete and up-to-date as necessary for the purposes for which it is to be used. You are responsible for informing CWT about changes to your personal information. If you have concerns about the accuracy of your personal information collected by CWT, then please contact CWT at the phone number or address indicated at the end of this document. CWT protects personal information against loss or theft; as well as unauthorized access, disclosure, copying use or modification; with security safeguards appropriate to the sensitivity of the personal information. Files are protected by keeping them in areas restricted to employees, and/or in locked filing cabinets or rooms. CWT’s employees have been made aware of the need to safeguard personal information and they only access the information on an as-needed basis. CWT also uses firewalls and passwords to protect electronic personal information. CWT actively invests in maintaining security levels appropriate for the protection of digital assets to protect against the loss, misuse and alteration of data used by our system. CWT fulfills its security responsibilities through regular remote back-ups, updating security patches promptly and periodic reviews of our security systems and procedures. Personal Information used to complete sales, that is transmitted to credit card companies or travel suppliers is transmitted in 128-bit encryption and CWT uses Secure Socket Layer (SSL) technology to protect your online order. CWT does not store or access credit card information from its server after your order is processed. If tour financial information is sent to a third party designated to complete the financial transaction or order fulfillment, then you will be advised at the time of purchase of any designated third party. A Privacy Complaint Form used to complain about CWT’s treatment of personal information. Upon written request, CWT will divulge the existence, use and any disclosure made of personal information and will give you access to your information. Written requests must be delivered to the Privacy Officer at the address at the end of this Policy. Personal Information Request Forms are available from the Privacy Officer on request. If assistance is needed with the request, please contact the Privacy Officer. CWT will respond to an access request within 30 days, unless an extension of time is required, pursuant to PIPEDA, in which case the response may take up to an additional 30 days. A fee for reasonable costs incurred pursuant to the request may be charged to you by CWT, provided that you are informed of the fee in advance and do not withdraw your request. CWT may require additional information from you in order to locate certain personal information. If this is the case, the additional information will not be used for any purpose other than that of locating the personal information. Should your information on file with CWT be proven incomplete or incorrect, it will be amended as required. Where necessary, the amended information will be transmitted to third parties using the information in question. If CWT does not comply with an access request, it will inform you of the reasons for such refusal. Any concerns respecting CWT’s compliance with PIPEDA should be addressed to the Privacy Officer. A Privacy Complaint Form is available from the Privacy Officer. CWT will investigate and respond to written complaints within 90 business days of receiving a complaint. If a complaint is found to be justified CWT will take appropriate measures, including, if necessary, amending its policies and procedures. Corporate clients of CWT should refer to the Data Protection Policy applicable to CWT’s business travel services at http://www.carlsonwagonlit.com/en/dataprotection.html. 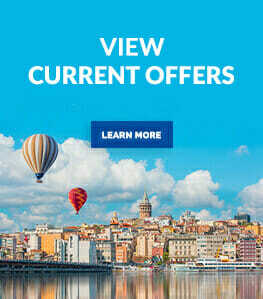 1 In this policy, Carlson Wagonlit Travel and CWT refer to Carlson Wagonlit Canada, a partnership of CW Travel Canada, Ltd. and 152812 Canada Inc., carrying on business as “Carlson Wagonlit Travel”.